Open House at the Library! Name: Open House at the Library! 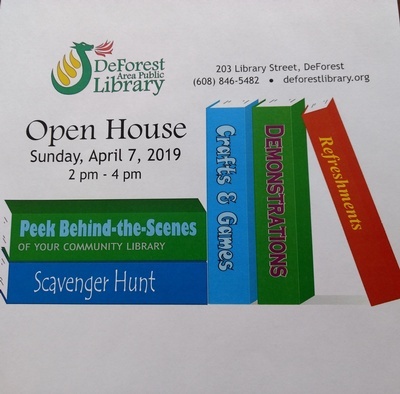 Mark you calendar for the DeForest Area Public Library's Open House! There will be crafts, games and demonstrations!